Edit design Football scarf blue & white , or create your design from scratch. Football scarf with half/half design. 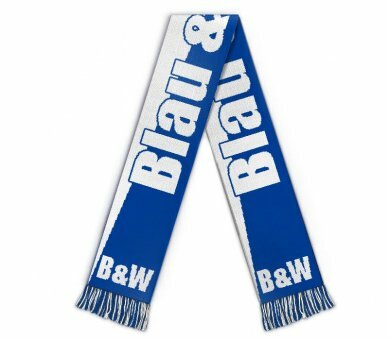 The custom scarf for your team in blue and white. Design online and create your custom team scarf today. Design with logo, text, cliparts etc. Design is knitted in.